John L. Pouschine is a descendant of a Russian noble family that traces its’ earliest origins to the 15th century, whose members served as generals and admirals in the military, and in government and court roles. During the Russian Revolution, the Pouschine family fled St. Petersburg to Constantinople, and after traveling through Turkey and Hungary, part of the family settled in the United Kingdom and part continued to and settled in the United States. In the United States, the family first lived in New York City, and later settled in the suburban town of Sea Cliff, which had become a Russian emigré center, where, during the Great Depression, the family helped build Our Lady of Kazan, the first local Russian Orthodox church. Mr. Pouschine ‘s grandfather, Ivan Pouschine, and his great uncle, Basil Wadkovsky, were co-founders and two of the five first directors of the Russian Nobility Association in America (the “RNA”). His father, Ivan Jr., was also a director of the RNA for many years, and as Mayor of Sea Cliff started the first glass recycling operation on Long Island. Mr. Pouschine began his schooling at La Scuola Svitzera, in Genoa, Italy, where his father, an environmental engineer, was stationed for two years to clean up the pollution in Lake Como. Attending a Swiss school, Mr. Pouschine learned Italian and French, in addition to his native English and Russian. After moving back to Sea Cliff and graduating from local schools, Mr. Pouschine graduated from Princeton University in 1979, with an AB in Economics and Russian Studies, where he was President of the Glee Club and President of his Class. In 1983, he received an MBA from the Harvard Business School. Mr. Pouschine began his career as a commercial banker at JP Morgan, and after business school, was an investment banker at Prudential Securities. He then joined a private equity firm, Bradford Ventures, where he played leading operating roles in turning around certain portfolio companies. Mr. Pouschine subsequently joined and built the US office of London-based Electra, where, typically as investor and director, he helped guide numerous companies through periods of rapid growth and attractive exits. In 1997, he co-founded with his partner, Everett Cook, the successful private equity firm Pouschine Cook. Mr. Pouschine’s career and reputation have been built on his guiding and working closely with management teams in helping transform their businesses into substantially larger and stronger companies, and on his generating consistently attractive returns for his investors. Mr. Pouschine has served as a board member of the RNA since 1992, and also serves as Treasurer and a long-standing board member of the Russian Children’s Welfare Society. Prince Vladimir Kirillovich Galitzine was born in Belgrade, Yugoslavia in 1942, the son of Prince Kirill Vladimirovich Galitzine and his wife, née Marina Alexandrovna von Enden. The family left Soviet Russia in 1920, and in 1942, emigrated to Germany, where they moved through Berlin to safety in the American zone reaching Munich. In Munich, the Galitzines lived with many other Russian émigrés in a displaced persons camp ultimately securing passage to the United States, and arriving in 1951. Prince Galitzine was educated in New York, and went on to join the Bank of New York in 1960. He first served the firm as an accountant, but was promoted shortly thereafter, founding the bank’s first Russian team. A member of that team was Tatiana Vladimirovna Kazimirova, whom he married in 1963. Galitzine worked for decades in the Bank of New York’s International Department, financing raw materials such as gold, silver, and cotton and working with Italian, Greek , and Maltese banks. By the 1990’s, Prince Galitzine served as head of the Bank of New York’s new Eastern European Department, actively advising on new financial activities in the former Eastern Bloc: Romania, Hungary, Bulgaria, Poland, and East Germany. Ultimately, Galitzine’s expertise led him to work with Russia itself, as well as with the new bankers of Ashkhabade, Alma-Ata, Yerevan, Tblisi, and the other capitals of the CIS. Prince Galitzine was a cornerstone of the Russian community in New York. Though he served as President for less than a year, he was the longest serving member of the board of the Russian Nobility Association with over fifty years. He also served as Starosta (or Warden) of the Cathedral of Our Lady of the Sign (Russian Orthodox Church Outside Russia) in New York for almost 40 years. The Board of the Russian Nobility Association in America is profoundly saddened to report the untimely death of its President Prince Vladimir K. Galitzine, on Thursday, February 22, 2018. Prince Vladimir Galitzine was one of the Russian Emigration’s most prominent and active leaders. He was the President of the Russian Nobility Association during the past year and Board member for over 50 years, mostly as Vice-President. He was the organization’s real public face, speaking for the membership in times of happiness and sorrow: his sense of humor enlivened our parties and our annual Charity Balls. Prince Vladimir dedicated a very large part of his life to supporting what kept our emigration Russian despite 100 years of life outside of Russia: the Russian Orthodox Church, Russian Social and Educational organizations, and the Charity balls of several organizations that he and Princess Tatiana actively participated in or chaired. Prince Vladimir was, for 42 years, the Warden of the Cathedral of Our Lady of the Sign, the seat of the Russian Orthodox Church Outside of Russia. Thus, he organized every baptism, marriage and funeral held at the Cathedral, participating directly in the life of the families that made up this community. Prince and Princess Galitzine dedicated a large part of their summers to the Russian Scouts’ summer camps, where they organized and acted as surrogate parents to generations of children and young adults, where life-long friendships and allegiances to Russian community organizations were formed. For decades, Prince Vladimir also served on the Board of the Organization of the Russian Cadet Corps outside of Russia, and was instrumental in re-establishing their connections with Russia after 1991. In his professional life of an international banker for the Bank of New York, Prince Galitzine was directly involved in the early stages of opening of the Russian market to the US banking industry. His personal charm and formidable diplomatic talent and dedication to the Russian community made him a recognized and admired figure on the Russian scene. Obituaries in Russia are up to 53 and counting, in all types of publications, including the provinces where readers are becoming aware for the first time that there is actually a Russian Nobility Association in far-off United States 100 years after the Bolsheviks seized power in Russia. Prince Vladimir Galitzine descends from one of the oldest and most important Princely families in Russia. Over the last 600 years, family members were known for their tradition of service to the Russian State and the Russian people, holding leadership roles in government and the military, diplomats, ministers, governors, leaders of nobility, scholars, artists and patrons of the arts. Members of Prince Vladimir’s family fought the Bolsheviks to the last during the Russian Civil War in the ranks of the White Army, and retreated with Gen. Wrangel from Crimea in 1920. The Prince was born on January 29, 1942, to Prince Kirill Vladimirovich Galitzine and his wife, Marina Alexandrovna (nee von Enden), in Belgrade, Yugoslavia, where many families of White officers found a new home. The family emigrated again, to New York, in 1951, after a route through Germany and a Displaced Persons’ camp in Munich. Life was difficult for immigrants to New York after the war, but young Vladimir found scholarships and completed his education. He joined the Bank of New York in 1960, where one of his co-workers was Tatiana Vladimirovna Kazimirova, whom he married in 1963. Galitzine worked his way up from an accounting position to the International Department. In 1990, he became head of the Bank’s new Eastern European Department, which opened up banking relationships with Romania, Bulgaria, Hungary, Poland and East Germany, and eventually, Russia where he first arrived in 1990. He described this time as the most challenging, rewarding and satisfying time in his professional life. Dr Cyril Erastovich Geacintov was educated in France and Austria, has a Bachelor’s Degree in Science and a Doctorate in Physical Chemistry from Syracuse University, SUNY. From 1953-1955, he served in the US Army Corps of Engineers. In 1970, Dr Geacintov founded DRG International, Inc, which now has offices worldwide. DRG specializes in high-tech medical and diagnostic equipment used in the health industries of many countries. His first visit to Russia (Soviet Union) was in 1966. Soon afterward, he organized the first exhibition in the USSR of Western medical equipment in Moscow at Sokolniki Park. DRG International subsequently expanded its work in Russia by opening offices in St Petersburg and Moscow. In 1974, Cyril Erastovich also became US Deputy Assistant Secretary of Commerce at the US Commerce Department and Director of the Bureau of East-West Trade. Since 2002, Dr. Geacintov has been President of the RNA, and in 2011 was recognized with the Ellis Island Medal of Honor for his achievements as a business leader of diverse ethnic origin. He passed away in 2017 and is buried at Holy Trinity Russian Orthodox Monastery in Jordanville, New York. The Board of the Russian Nobility Association in America announces with great regret the death of its President, Dr. Cyril Erastovich Geacintov. 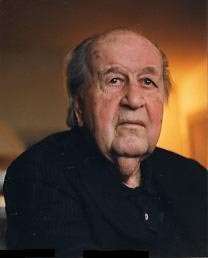 Cyril Erastovich Geacintov was born in 1930 into a Russian noble family with clerical roots in the early 17th century. Dr. Geacintov’s family entered the Russian Imperial civil service, and were ultimately granted hereditary nobility. Members of his family graduated from the Imperial military schools and served as officers in the Caucasus, Crimea, and many other places. In his maternal line, he was related to the boyar family Shubin as well as the noble family of the Princes Izmailov. One of the Izmailovs participated in the conquest of Kazan under Tsar Ivan “Grozny”. One of his descendants was General en Chief Izmailov, who remained loyal to Emperor Peter III and for that reason was exiled by Catherine the Great to his estate. Dr. Geacintov’s grandfather, Nikolai Egorovich Geacintov was born in 1856 and graduated from Moscow University with a Master’s degree in political economics, and went on to receive his doctorate. He served in the Finance Ministry of the Russian Empire and was the Finance Director of Railroads and Communications during the construction of the Trans-Siberian and other railroads. Nikolai Egorovich was awarded the rank of Government Counselor General at a fairly young age. He received the 3rd class of the Order of St Vladimir, the 1st Class of the Order of St Stanislas and the 1st class of the Order of St Anna. The 1917 Revolution led to the total collapse of the Russian Empire, and precipitated the emigration of the Geacintov family, who lived in Tsarskoye Selo and in St Petersburg. At the time of the Revolution, the Geacintovs fled through the Crimea to Constantinople, then to Prague, and ultimately to France, where Dr. Geacintov’s father Erast Nikolaevich married Zoya Sergeevna Martynova in 1927. Their son, Cyril Erastovich was born in France in 1930. After the German Wehrmacht seized control of France during WWII, the entire family was sent to a labor camp in Germany in 1943. The Geacintov family remained in Germany until 1951, after which they emigrated to America. From 1953-1955, Dr. Geacintov served in the US Army Corps of Engineers. In 1970, he founded DRG International, Inc, which now has offices worldwide. DRG specializes in high-tech medical and diagnostic equipment used in the health industries of many countries. His first visit to Russia (Soviet Union) was in 1966. Soon afterward, he organized the first exhibition in the USSR of Western medical equipment in Moscow at Sokolniki Park. DRG International subsequently expanded its work in Russia by opening offices in St Petersburg and Moscow. In 1974, Cyril Erastovich also became US Deputy Assistant Secretary of Commerce at the US Commerce Department and Director of the Bureau of East-West Trade. Since 2001, Dr. Geacintov has been President of the RNA, and in 2011 was recognized with the Ellis Island Medal of Honor. Dr Geacintov has served as President of the Russian Nobility Association since 2002. He is survived by his wife, Elke, his children, and his grandchildren. Prince Alexis Pavlovich Scherbatow was born in St. Petersburg in 1910, and emigrated from Russia in 1920 with his parents, Prince Paul Scherbatoff, a former military and diplomatic aide to H.I.H. Grand Duke Michael Alexandrovich of Russia, and Princess Scherbatow (née Bariatinskaya), whose father Prince Vladimir Bariatinsky was General Aide-de-Camp to Emperor Alexander III. Together with his family he lived in Constantinople, Sofia, Rome, and Brussels before moving to the United States in 1937. 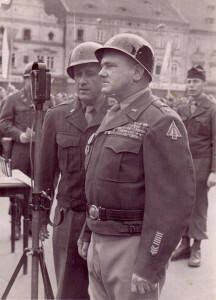 He served in the US Army as a military translator from 1943 to 1946 on the European front, and was responsible for communications between the allied armies. After the war, Scherbatow completed his doctorate at NYU and Columbia University. For almost 30 years he taught Russian history at Farleigh Dickinson University. Prince Scherbatow was named honorary president of the Nobility Association “for life” by its grateful members. Scherbatow died in 2003, and is buried at the Holy Trinity Russian Orthodox Monastery at Jordanville, New York. Prince Alexis Scherbatow was born in St. Petersburg on November 14, 1910 and was a descendant of the ancient Rurik Dynasty. Together with his family he emigrated in 1920 and lived for many years in Europe before moving to the United States in 1937. 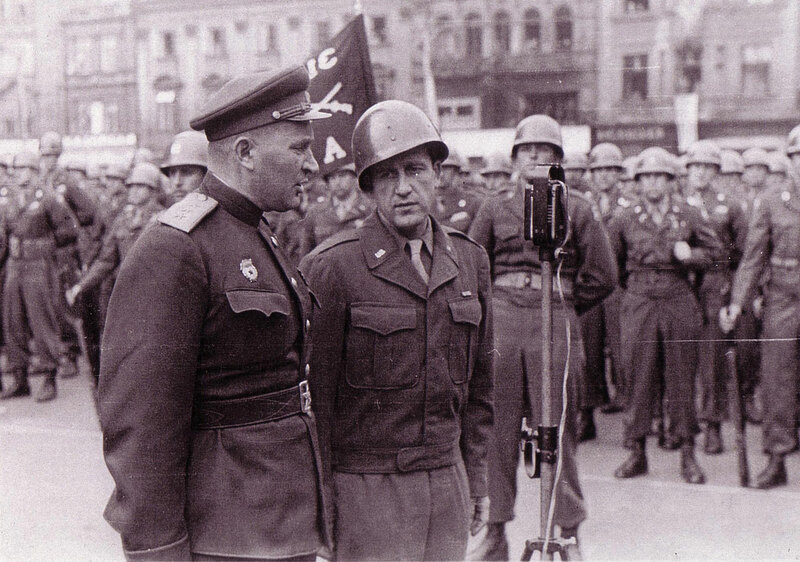 He served in the US Army as a military translator from 1943 to 1946 on the European front, and was responsible for communication between the ally armies of the anti-fascist block. Upon demobilization, Alexis Pavlovich completed his doctorate at NYU and Columbia University, and became a professor of history. For almost 30 years he was teaching the Russian history at Farley Dickinson University, and gained renown as a professor and history expert. Prince Scherbatow headed the RNA for many years and continued to provide his in-depth expertise on genealogy to the Russian Nobility Association. Upon his retirement he was appointed Honorary Chairman and Director for Life of this organization. His many honors and tributes by Russian, American and European organizations were awarded to him in recognition of his interest and contributions to the study and teaching of history. Prince A.P. Scherbatow is buried at the Holy Trinity Russian Orthodox Monastery in Jordanville, New York. This biography is still under development. Prince Serge Sergeievich Belosselsky-Belozersky was born in St. Petersburg in 1898, the oldest son of Prince Sergei Konstantinovich Belosselsky-Belozersky, and his American wife, née Susan Whittier of New York. Belosselsky was educated at His Majesty’s Corps of Pages, and joined His Majesty’s Horse Guards Regiment in which he fought in the last days of World War I. 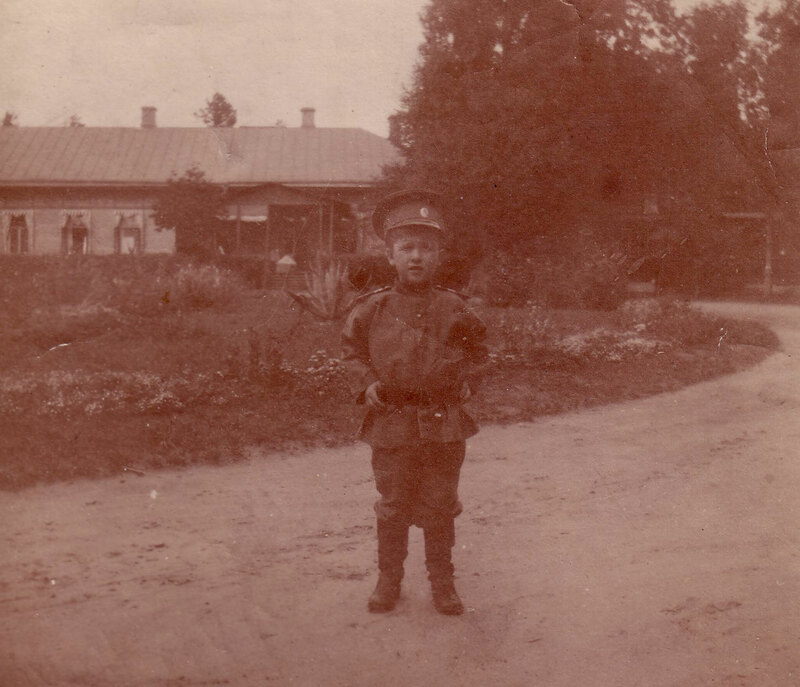 Arrested by the Red Guard in 1918, and imprisoned both in the Peter & Paul Fortress and the Kronstadt Island Naval Base, Belosselsky was released and escaped to Finland, from whence he joined the White Army in Reval (now Talinn) and fought with them until 1920. He emigrated to London and Paris, before marrying the former Florence Crane of Ipswich, Massachusetts. Belosselsky moved to the United States before World War II, and died in New York in 1979. Prince Eletskoy was educated at the Poltava Gymnasium, and entered military service in 1895. He was graduated from the Nikolaevsky Cavalry School in St. Petersburg in 1897, and joined His Majesty’s Guards-Lancers Islands Regiment as a Cornet. He rose in the ranks as a Lieutenant in 1901, Staff-Captain (1905), Adjutant (1909), Brigade Captain (1909). He was made a Colonel in 1915, and in 1917 assumed command of the Cavalry Regiment. In 1918 he became the Army Staff General overseeing the evacuation of the Crimea. He was a Cavalier of the Orders of St. Anna 3rd Class, St. Stanislas, 2nd Class, and St. Vladimir, 4th Class. He was evacuated to Cattaro in Yugoslavia, and thence to the United States, where he served as President of the Union de la Noblesse Russe and the Russian Nobility Association from 1954-1958. Prince Eletskoy died in 1958 is buried at the Novo-Diveevo cemetery in New York. Count Paul Pavlovich de Kotzebue was born into an Estonian noble family in 1886, with a long tradition of service to the Imperial Crown. His uncle, Count Ernest de Kotzebue was the Russian Imperial Ambassador to the United States. De Kotzebue moved to Saint Petersburg to attend the prestigious institute of His Majesty’s School of Pages. Kotzebue graduated from the Corps de Page in 1903 as cornet and on the 1st January of 1909, he was made a Lieutenant (Poruchik) of the Life-Guards Ulans of Her Imperial Majesty the Dowager Empress Maria Feodorovna’s Own Regiment. In 1910 he was assigned to the reserve of the guards cavalry and assigned to the Ministry of Internal Affairs as an official for special assignments under Minister Stolypin. On August 10, 1912 he was promoted to court counselor, and in 1914, at the start of World War I he was recalled from the reserve for active military service and assigned to the headquarters of the General Staff for special record-keeping. From March 4 to 31, 1917 he was the commandant of the Alexander Palace in Tsarskoe Selo. Kotzebue was arrested in Petrograd in 1918. After the Revolution, de Kotzebue emigrated to France. On August 8, 1933 his second cousin Count Dmitrii Fedorovich Kotzebue-Pilar von Pilchau, according to the law of primogeniture of the counts Kotzebue, being the last representative of the counts Kotzebue-Pilar von Pilchau, and being childless, transferred the right to the title of Count Kotzebue to Pavel Pavlovich, the descendent of Avgust Efstafevich – the twin of Pavel Evstafevich. This act was confirmed by the Union of Estland Nobility on November 16, 1933; the head of the Imperial Russian House, Grand Duke Kirill Vladimirovich, expressed his consent to the transfer of title by a letter dated January 11, 1934. Count de Kotzebue married HSH Princess Heinrich XXXIII of Reuss von Köstritz (née Allene Tew of Jamestown) in 1936 at Geneva. They divided their time between Paris, New York, and Palm Beach. He died in 1966 in Paris. Count Boris von Berg was born in Saint Petersburg in 1884 into a German noble family long resident in the Grand Duchy of Finland. The family’s title of count had been recognized and confirmed by the Russian Crown in 1857. Count Boris Georgievich von Berg served as a “Kamer-Junker,” or “Gentleman of the Chamber” to Emperor Nicholas II. After the Revolution, he left Russia in 1919, fleeing first to France, and thence to the United States, arriving in New York in 1924. In 1938, von Berg was one of the original directors of the Russian Nobility Association, and served as president at the beginning of the War. He died in 1953, but his wife, Countess Sophie von Berg (née Sannikow) remained active in the RNA for many years. Vassili V. Wadkovsky was born in Russia in 1878 and was educated both privately and abroad. Mr. Wadkovsky, a brilliant pre-revolutionary economist, ultimately served in the Russian Imperial Ministry of Finance, and later became the Vice President of the State Bank of Russia. Wadkovsky and his wife and children left Russia in 1917. Vassili Wadkovsky was at one time the official representative of HIH the Grand Duke Kirill Vladimirovich of Russia in the United States. He died in 1941 in New York. Prince Alexis Alexandrovich Obolensky was born in St. Petersburg in 1883, and was educated at the Imperial University of St. Petersburg. He graduated as a commissioned officer in His Majesty’s Own Chevalier-Gardes, and served throughout the First World War as a Captain. He married Princess Lubov Petrovna Troubetskoy in 1909, and had five children before leaving Russia after the revolution. The family moved first to France, and Prince Obolensky arrived in New York in the 1920′s. In 1933, Obolensky helped found the Russian Nobility Association in New York and was our first President. He resigned in 1939 after appearing in the Broadway musical “Leave It To Me!” under the stage name Alexis Bolan. For many years, Obolensky performed as a renowned classical singer, and performed with Dame Nellie Melba.